Innovate Engineering Solutions, LLC provides land development planning, civil engineering, site design services, environmental engineering and construction management services to residential and commercial developers, municipalities, architects, state and federal government agencies, and other construction and engineering disciplines. President and Principal Engineer, Bill Kent, P.E. holds a Masters Degree in Civil Engineering from Kansas State University. He has worked as an engineer in South Georgia for seventeen years, serving previously as the Traffic & Drainage Engineer and Assistant city Engineer for the City of Valdosta and more recently, the Vice President and Engineering Director of ASA Engineering & Surveying, Inc. Mr. Kent is licensed as a Professional Engineer in Georgia and Florida. The professional staff at Innovate includes Mark Worthy, E.I.T., and William Godette. Mr Worthy holds a B.S. in Civil Engineering from Georgia Tech and serves as a Project Engineer for the firm. He has four years experience and will be eligible to take the State Exam to become a Licensed Professional Engineer upon completion of his apprenticeship under the direction of Mr. Kent. Mr. Godette has seventeen years experience as a Civil CAD Designer and project manager. he brings a wealth of knowledge and experience to the firm, most relevantly as a specialist using Civil 3D, Autodesk's lastest civil software program. Prior to joining Innovate, Mr. Godette served as a Senior Civil Technical Specialist, training other engineers and CAD operators throughout the state of Florida in the implementation of Civil 3D. 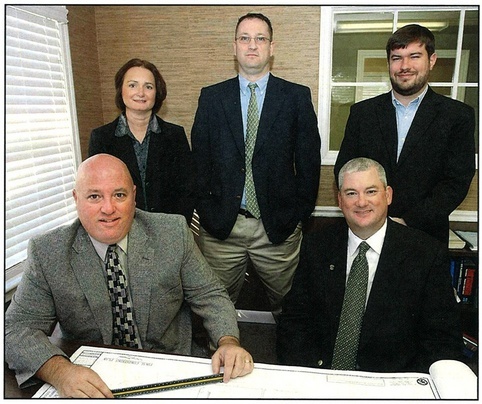 Innovate was launched with the desire of it's founder, Bill Kent, to provide the most creative, sustainable, and cost effective planning, designs and construction related services to clients throughout the Southeast who would choose the firm time and time again for their projects. Through low overhead and good stewardship, Innovate can be very competitive on design fees while providing project expertise and design techniques utilized by much larger firms.